Where to start with this? 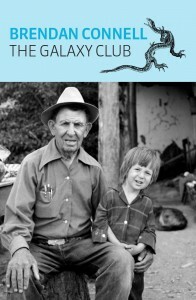 A question often posed when writing a review but never more pertinent than after reading Brendan Connell’s The Galaxy Club. This is a book which defies you to nail it down to a specific genre. 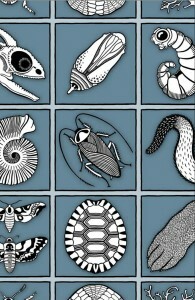 Unique is as apt a word as any here. The story is akin to hardboiled noir written on acid then interwoven with a hint of Lewis Carroll as directed by Guillermo Del Toro. The style is at times engaging and at others impenetrable, whole chapters written with no punctuation forcing the reader to determine where a sentence finishes and the next picks, everything bundled together into an intentional flow of incoherence. The story can be tough going at times, being told from multiple points of view whilst jumping back and forth in the narrative’s timeline, with Connell encouraging you to keep up with him rather than spoon-feeding the reader. The overarching plot sees drifter Cleopatra find himself in a rural village in New Mexico in the early ‘70s. 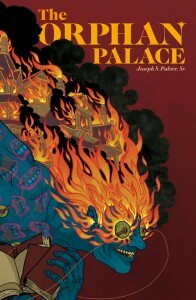 He is taken in by Elmer and Ramona where he is enticed into a hunt for treasure. Connell introduces use to a bizarre and dysfunctional set of characters. Humans, creatures, ‘gods’ and inanimate objects are given voice throughout the tale; at one point we have a two page narrative from one character’s shovel. The story is as much about Blue Boy Montoya, a blue skinned child, as it is about Cleopatra. Blue Boy Montoya’s story arc introduces us to an array of dragons, fish in reality, seeking revenge on the blue skinned one for killing one of their brethren, Smooth Stone Dragon, with his Demon Taming Stick. Something which could come across as ludicrous but works in Connell’s hands. This is a story you have to dedicate time to read in two or three settings. Connell has a brilliant voice but the sheer assault of imagination requires your full attention. Any effort to read in bite sized chunks will likely leave the reader confused, needing to re-read preceding chapters to reacquaint themselves with proceedings. It is as the connections through earlier events are made later in the book that we see Connell’s skill as a storyteller. Connell is someone everyone should read but if this is your first encounter with him then maybe consider reading his collection Unpleasant Tales as an introduction to his writing beforehand. 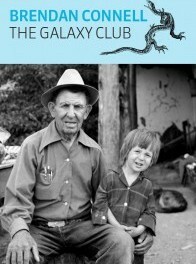 The Galaxy Club is a good book but one which the reader has to work at with the casual reader likely to drop it early on. If you want something quite unlike anything you have read before then I would recommend you give this a try – you might just like it – but if you are after mainstream then I would keep walking by.